St. Charles High School, opened in 2014, is an anchor in our community that homeowners can be proud of. 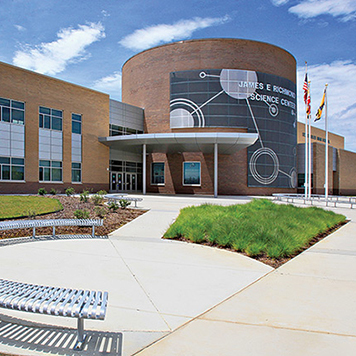 The school offers the best in Charles County public school education, in addition to several programs specific to environmental and natural resource management, technology, and current issues. St. Charles High School also boasts a 6-lane swimming pool, state-of-the-art Digital Classroom, and Science on a Sphere: co-developed by NASA and providing students with visual instruction involving Earth Science and the environment. St. Charles High School has partnered with various agencies, businesses, universities, and colleges to enhance opportunities within the STEM (Science, Technology, Engineering and Mathematics) program. These partners include NASA Goddard Space Flight Center, National Defense Education Program, National Space Foundation, Colorado Springs, Naval Air Station Patuxent River, Johns Hopkins University, University of Maryland, College Park, University of Maryland, Baltimore County, Chesapeake Bay Foundation, and Chesapeake Bay Trust. The School also includes many unique athletic features such as a football stadium with an eight-lane track; bleacher seating for 1,500 home/500 visitors; 14 fields including football, baseball, softball, soccer, field hockey, and lacrosse, and eight tennis courts. Click here to visit the school’s website and learn more. Our commitment to neighborhood schools extends to the support of early learning programs like The Judy Centers and the awarding of thousands of dollars in scholarships for outstanding St. Charles High School seniors. St. Charles is committed to quality neighborhood schools, the foundation of a thriving planned community. In order to realize this commitment, we have donated land for ten neighborhood schools in St. Charles and will continue to provide school sites as we plan future communities. Whether your student is starting pre-school or starting college, St. Charles is committed to helping them achieve a quality education. St. Charles features an unmatched abundance of outdoor recreational choices. 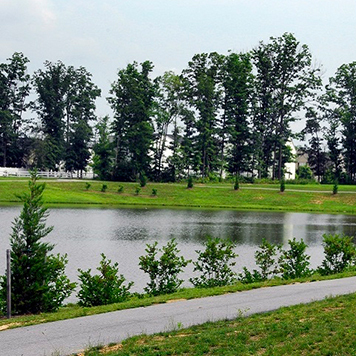 From playgrounds, tennis courts and ball fields within our neighborhoods, to the miles of hiker and biking trails meandering around serene ponds and through wooded protected forest land, St. Charles’ 9,100 acres welcome the committed athlete and the nature lover. Central to the community is White Plains Regional Park with an 18-hole public golf course, lit tennis courts, a 15,000 square foot skateboard park, ball fields, soccer fields and a dog park. 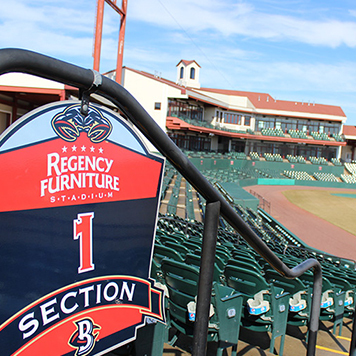 The Southern Maryland Blue Crabs minor league baseball team not only entertains families throughout the summer, but the stadium serves as the centerpiece for many regional recreational events. 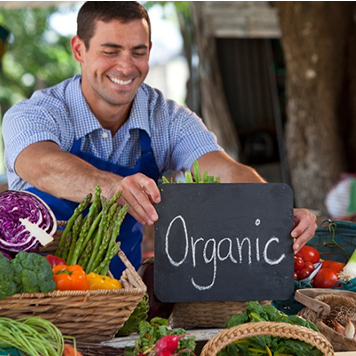 St. Charles residents enjoy the freshest fruits, vegetables, meats and cheeses through our lakeside Farmers Market. Strolling down our boardwalk, families can enjoy a fun and delicious outing while supporting local businesses. Our market is a “producers only” market, meaning a market that only allows agricultural products that are grown, baked, raised, and prepared by a local farmer. The St. Charles Farmer’s Market is steps from your home and fits perfectly with a stop at our brand new Waldorf West library next door. The St. Charles Farmers Market is open May through November on every Wednesday afternoon and Saturday morning. St. Charles opened its first community garden adjacent to the Gleneagles townhome community off of Billingsley Road in 2014. Plots of approximately 150 square feet are available to Sheffield and Gleneagles residents on a first-come, first served basis. Residents are responsible for maintaining their plot. Water will be provided to the site, and there will be parking available adjacent to the plots. There is no cost for the plot, which can be used to plant flowers and/or vegetables, but residents will need to sign a contract agreeing to the terms of care. Our community gardens are an integral part of St. Charles’ broad-based and continuing environmental initiatives. St. Charles is an environmentally friendly, smart growth community, and this program allows us to share with our residents the stewardship of that environment. St. Charles is committed to sustainable practices in preserving its abundant natural canopy. Through our Piney Reach Forest Management Initiative, we cycle diseased and poorly formed lumber to certified local mills to be sustainably harvested, improving the overall health of forested lands in St. Charles. Additional benefits of the program include the protection and enhancement of wildlife habitat and the positive impact to soil and water resources. Working hand-in-hand with a licensed forestry consultant, St. Charles has made a commitment to its residents and businesses to always grow more wood than is being harvested and actively managing its forests for generations to enjoy. I wanted to give my son a sense of security, community and a place to be safe. I am so glad I chose St. Charles.